Every once in a while there comes along a trend which we all embrace temporarily with open arms, knowing full well that we’ll be wondering what we were all thinking in around a year’s time. 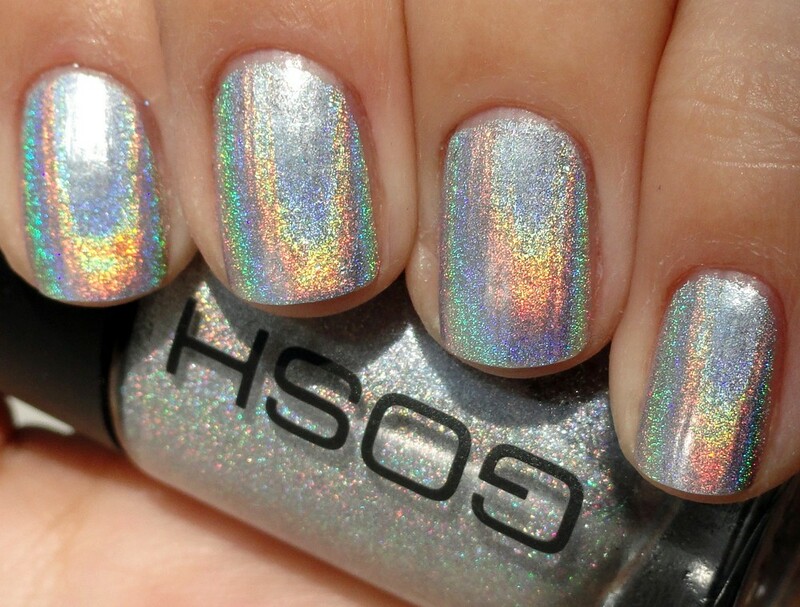 The time for holographic is now, and if you want in on the trend you’d better move fast. 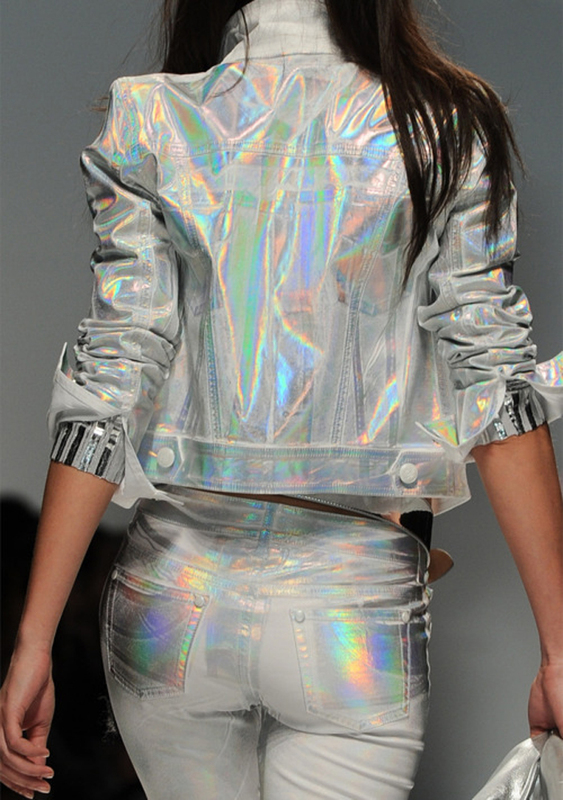 From holographic denim at Blumarine, to luxe holographic polish at Chanel, both designers and the high street have gone for it in the holographic stakes, and if you’re feeling bold or brave enough, you can too. If you fancy a little on-trend, a little OTT, or a little outer-space injected into your wardrobe, let today’s moodboard inspire you. I really like the nails and bags but that’s the furthest I would go with this dress.